I sent a message on instagram which was ignored about requesting for the cast to tv icon which is usually enabled with the use of a chrome cast, I have mentioned this too before but as usual it’s being ignored. I bet they can’t be bothered about finishing. They feel the app is available so nothing else should matter. But little things matter most. 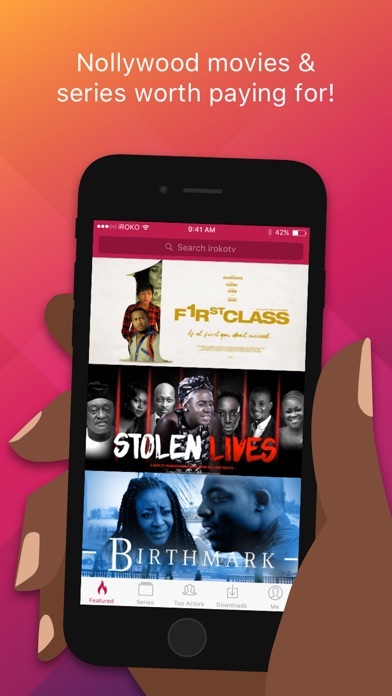 SceneOne tv came right after IROKOtv and they have the icon for easier viewing . 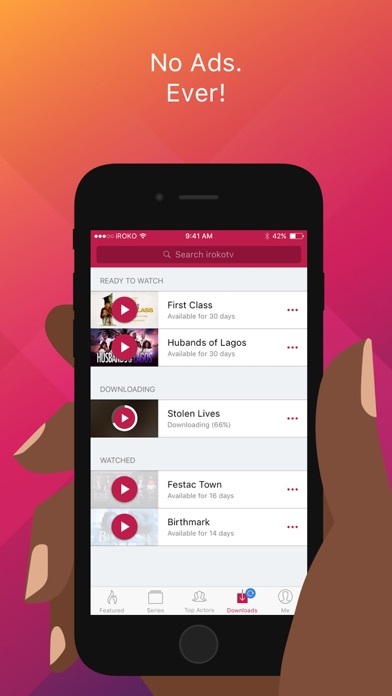 Decided no more IROKOtv after this subscription. Pls I have to ask why do I need data to watch my downloaded movies ??? Is that how it’s supposed to be. Pls fix this issue and let us watch our downloaded movies weather online or not. I wish it was on Amazon FireTv. Overall, I like it. Wish it had watchlist option, also resume play. Update 1/20/19: Autoplay functionality STILL DOESN’T WORK without some type of interference from me! (i.e. I have to touch ff or rew button or 15-sec during playback)... and app still doesn’t pick up show from where it left off when I close and reopen. 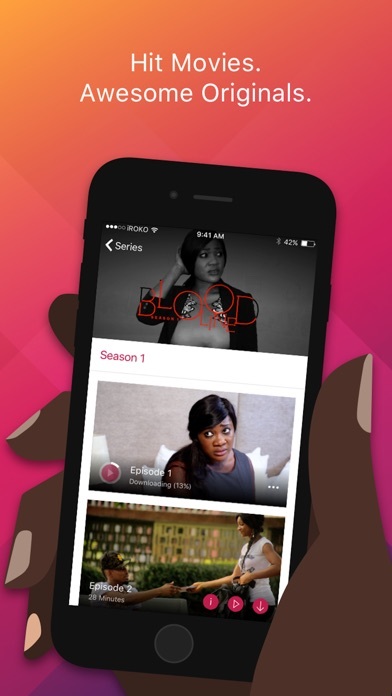 I mean, this is basic functionality for streaming services at this point, and IROKOtv has been around long enough to get its act together; honestly, what is the point of the app updates if you can’t get simple playback features right?? Deleting and canceling my subscription, I’m over it. Update: Autoplay still doesn't work- tried force restart, deleting from device and iCloud and reinstalling the app, signed out and back in... but nothing has fixed it, I still have to touch fast forward or rewind buttons once the episode starts for it to automatically go onto the next one when it ends. Please fix, and add broadcast capabilities... as well, the app should "remember" where you've left off watching, so that whenever you open it, it takes you back to the episode or point in the movie where you stopped... would really improve the app and put it close to par with the other streaming powerhouses out there. There have been quite a few improvements over the last year to the app, so we know you are listening- thank you. However, the inability to broadcast from the iPad without a physical connection is still a big challenge- particularly because the Autoplay functionality for the TV episodes does not seem to work, I have to touch either the fast forward or rewind button for it to autoplay the next episode. Please fix for us, so that we can better manage our viewing experience; at the very least, please fix the Autoplay functionality. I just paid for a subscription and I can’t use it on my phone or on my Apple TV. It keeps asking me to subscribe but I have already subscribed. I was looking forward to watching the movies, but I can’t get it to go past this subscribe screen it keeps looping back to. I love irokotv but I just wished I could cast it to my tv on chrome cast or be able to view it on fire tv. That’s the only thing the app is missing.